The federal Burlington Conservative Electoral District Association was officially incorporated in 2004 and Burlington was represented by a Conservative Member of Parliament from 2006 until 2015. We plan to win back power in the 2019 Federal Election and make Burlington blue again! The Association is represented by a 30-member volunteer Board of Directors which has responsibility for promoting the principles of the Conservative Party of Canada, providing organizational and financial support to the local candidate and raising money to assist with these endeavours. We also have responsibility for recruiting new members and encouraging young people to become actively involved with the Conservative Party of Canada. Burlington was a thriving village in 1867 when Canada officially became a country. Burlington was part of a large riding in Halton County and residents within that area went to the polls in various elections to select the individual who would represent them in Ottawa. 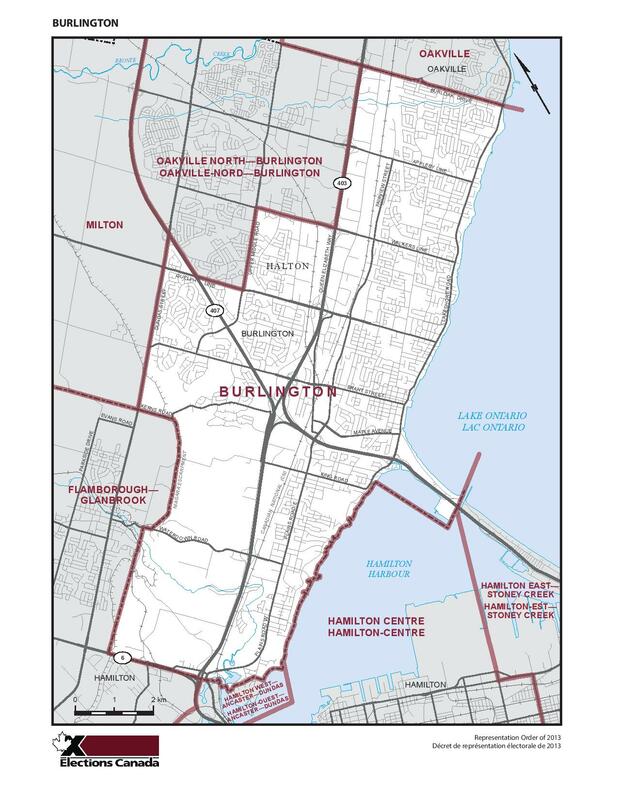 In 1966 a redistribution plan created the Halton-Wentworth riding where Burlington residents joined people living in Hamilton to elect a federal Member of Parliament. That changed in 1979 when the riding of Burlington was established and Bill Kempling who was first elected in 1972 was elected by a landslide to represent Burlington in Ottawa. Kempling retained the seat until his retirement in 1993. The formation of the Reform Party split the vote with Progressive Conservative candidates and the Liberals won the 1993 election. After losing successive elections the Progressive Conservatives, the Reform Party and the newly formed Canadian Alliance Party came together in 2003 to create the Conservative Party of Canada. Burlington elected a Liberal candidate in the 2004 election, but Mike Wallace captured the seat in 2006. Wallace represented the people of Burlington as their voice in Ottawa until the 2015 Election, when Conservatives lost out to the Liberals, riding on a Red Wave by a mere 2.5%. The members of the Burlington Conservative Association range from students to seniors. Our role is to represent the Conservative Party of Canada at the grassroots level. As Conservatives we have the responsibility to select the candidate who will represent our party and carry the Tory banner in the Burlington riding. As volunteers we contribute our time to create awareness of the federal Conservative party at the local level and help maintain the profile of our candidate in the community. Conservatives stand for a strong Canada, effective leadership, fiscal responsibility, a safe environment and secure and healthy communities. We are also committed to job creation, economic growth, helping manufacturing, farming and the fishing industry along with protecting forests and other natural resources, and keeping taxes low. Conservatives recognize that seniors have been instrumental in building our country and we want to ensure they continue to live comfortably in retirement. There is also a focus on students to provide the best education opportunities to allow them to prosper through life and contribute to the growth of Canada. The Burlington Conservative Association hopes you will consider becoming part of our team and work with us to not only better our community but to guarantee the strength and vitality of our country. Help us to rebuild locally and federally for Election 2019!